I just had this bike shipped to me from NYCeWheels. 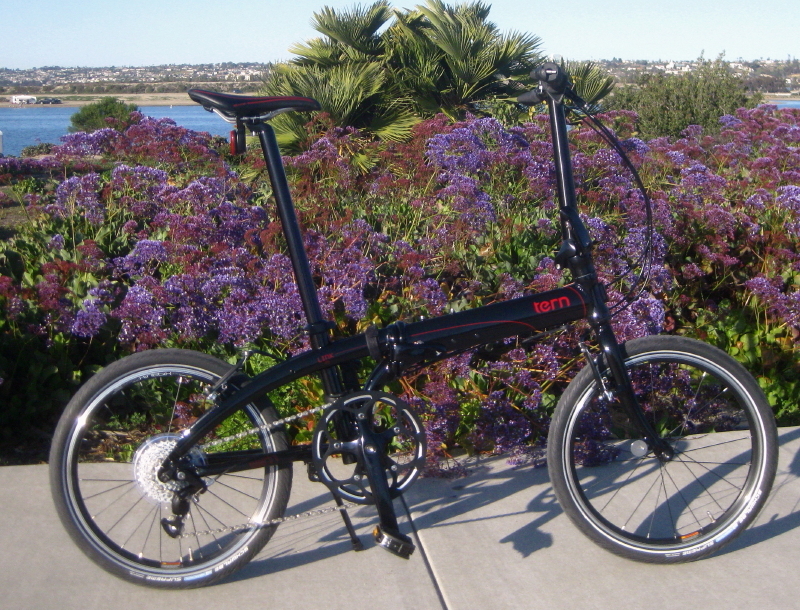 The Tern folding bike showed-up in perfect condition and I couldn’t be happier with it. The Ins and Outs of Internet Bike Purchases. When I was a part-time mechanic at a local Schwinn shop, every bike we sold needed to be assembled, checked, and test ridden by the shop personnel before it was ready for the customer. Times have changed as bikes and E-bikes are being shipped to directly to people world-wide. To my knowledge, these bikes have been fully assembled and checked, and then partially torn-down before shipment, but have they? The reasons bikes are being purchased over the internet are many. Not everyone has a local bike shop that offers the item they want. Sometimes it is strictly a matter of money savings. People living in the boonies or away from the masses almost have no choice. So what can you do to make sure your new bike is what you want, in good shape, and working correctly? If at all possible, I recommend that you do buy your new bike from a quality local shop. The hands-on service can make such a difference in your happiness. The reasons are many. First off, they will offer brand name bikes that they have experience with and can trust. If bikes don’t live up to their standards, they will be removed from the floor. Most shops don’t want their customers to be unhappy with any item purchased there. Next, the bike will be assembled, checked over, and test ridden to make sure it is just right. They will help you make adjustments so you are comfortable on it. Part of that is getting you on the correct bike that is sized to fit you. You should also expect some basic instruction on the operation and shifting needs of the bike you have chosen. If the bike has any problems, they are right there to effect the warrantee and make things right again. Also, they have a selection of accessories that can be installed for you. 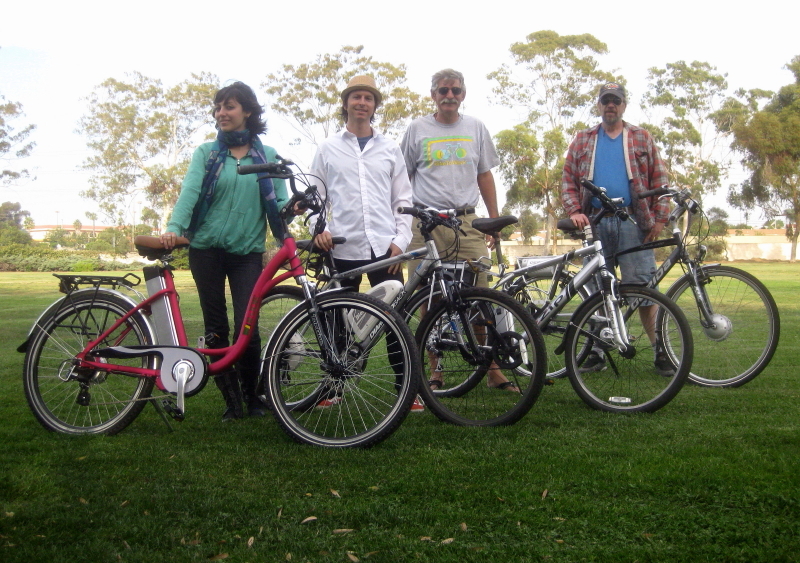 They might organize group rides and offer bike trail maps for your area. This all sounds great, but what if you don’t have good local shop, they don’t offer the bike you want, or for some other reason you just don’t like them? Then I guess, it’s off to the internet. You are most likely going to save some cash on the net. The initial price could be lower, and you might be able to avoid sales tax, but you will need to add in the shipping fee. These cost reductions could bite you if the bike is damaged in shipping or it has a warrantee problem. A reputable dealer might cover some or all of the return shipping, but maybe not. Plus the amount of extra time lost shipping it both ways could be something you aren’t willing to live with. Now, let’s look into the brand of bike you are considering. There are more good brands of bikes than I personally know of. New ones come into the market every day. Just the same, bad ones come onto the market every day. How are you to know the difference? Certain brands are a given to make a bike that will give good service and that you can be proud of. Some investigative work can be helpful here, but is no guarantee for your new bike. This group of E-bkes from a previous article are a great example of quality E-bikes from reputable companies. When it comes to E-bikes, this is even more important. I have spent a lot of time riding and fixing electric bikes over the last so many years, and have found how important it is to trust the manufacture. In addition to the quality build of the bike, the electrics need to be matched and built to high standards. Re-engineering their work is pretty much (but not completely) out of the question, so you want to get a good E-bike the first time. I spent some time talking to Greg over at Pedego Junction in Township, Michigan about the quality pieces that make up the bikes that he offers. It just reinforced what I have found as I deal with electric-motored bikes everyday. Paying a reasonable price, for a correctly designed E-bike is the only way to go. They do come in many price-points, but buying a name-brand E-bike with a good reputation with reduce, if not completely eliminate your headaches and disappointments. The same goes for E-bike conversion kits. I hear and experience so many stories of great kits and terrible kits. It is possible for a manufacture to cut so many corners (to reduce costs and lower your purchase price), that the end product is just not worth having. Of course, this goes for most any electro-mechanical device on the market today. We have all experienced it, a poorly made item is a waste of time, materials, and money. Try to avoid them. So how do you know if the bike, E-bike, or conversion kit you are going to order on the web is worth having? Do some serious investigation on the web. Don’t believe everything you read, but if it is repeated over and over, you would start to think it is true information. A good company will have someone you can talk to over the phone. If you have problems, you are going to want this. No guarantee, but it can make a big difference in your confidence as you order. E-Bay is filled with stuff at all prices. The ones that are so low that it is hard to believe should raise a two mast red flag. I don’t think I need to go much further explaining this. E-Bay has some great deals, but it can also be a dumping spot for total junk. Tread lightly and keep your eyes wide open as you bid on items. The sellers there strive for a good rating, but that doesn’t mean the item you are considering is worth buying. The moral of this article is do everything you can to stay away from lousy bikes and internet ordering. If you can’t, choose carefully, do your homework, and keep your fingers crossed. I have had bikes shipped to me with no problem more than once. I hope you have the same luck, Turbo Bob. “Possibly the tragedy of the bicycle is that it was invented too close in time to the car. In the historical scheme, pedal power hardly got underway before the combustion engine appeared and, not only took over the roads, but changed our view of machines. We’ve forgotten that pedal power is a potent form of energy.”—Richard Ballantine. This entry was posted in Bike Shops, E-bike general interest, General bike stories, Opinion. Bookmark the permalink. Nice article Bob! By all means, do your research and take a test ride if possible. Local Dealers are able to provide you with a demonstration and can answer all of your questions before your purchase. Thanks Greg. I am constanty putting forth this advice. I wish everyone was as lucky as I am to have a couple local E-bike shops, and many local bike shops that will bend over backwards to keep their customers happy. I am sure you give your customers in Michigan the best service in town. I hope to come by sometime to see it for myself, and ride some of those great Pedegos you offer. Glad you liked it, Don. Thanks for checking in and reading this article. We need the net, but when it comes to bikes and other things, I like to touch, feel, and ride before I buy. I think most people feel the same way. Keep those Pedegos rolling, Turbo. I’ve spent $1,000’s on bikes and parts ordered online. It’s a mixed bag for me. Today I was in the process of ordering a Fork Online but I also needed a small spacer. I frequent several online stores and this one was new. So I tried their “Price Match” feature… not on the fork but on a small item that was less than $10 and they wouldn’t match the price, so I didn’t buy the fork. It’s a crazy system the online world… where everything is price price price, and service, advice, and expertise are thrown to the wind. But if I’m going to do my own work I expect online stores to be competitive with one another. If I’m in a local bike shop I don’t ask for a discount because I expect to pay a bit more because I am taking their time, I am asking for their advice, I want the place to stay open and pay their employees. I will ALWAYS buy local first, but in my world Local usually doesn’t have what I want. One thing that is almost a given if you buy online is the wheels will probably need truing, the headset may need adjustment, and the deraileurs stand a good chance of not working properly. All things most people who don’t turn wrenches are not very good at. Even if I assemble a bike myself I’ll usually take it into the bike shop and have them do a tune up. It’s often worth the little bit of money to save the time. Anyways lots of pluses and minuses to buying online. If you don’t have the tools (I do) or the experience/knowledge it’s often cheaper to just buy locally anyways. Good read. All so true. Keeping your local shops in the green is of the utmost importance. Expecting them to have every item you might ever want is a stretch. I found early on with my array of hobbies, that I always wanted some bit or piece that was to obsure to be found on the shelf of even the best stocked shops. Back then it was phone calls and long drives that secured that needed item. Now with the wide reach of the internet, so much has changed. Still, some hands-on retail therapy can go a long way. Service is not a lost art, and having it can make a world of difference. If you give your local shops the first chance to supply you, they won’t be upset if you shop the net and need help with the obtained item. It may not be right, but if you do it in the reverse order, they sometimes can get a little testy. I can’t say I blame them, and they are getting more used to the situation so it is not as much of a big deal as in recent years. Still, when it comes to a complete bike, the in-person service can be the better deal (just what your last sentence says). Thanks for chipping in, Turbo.